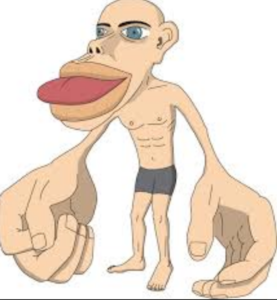 In the world of neuroscience, researchers and instructors have developed the “homunculus” to show through exaggerated size those areas of the human body which we know to have a greater representation of neurons in the somatosensory cortex in the brain, the main sensory receptive area for the sense of touch. Check out the image at right. The Horseunculus is a model developed by Cayuse Communications, with help from graphics pro, TJ Zark, to illustrate through exaggerated size and starbursts those areas which we know to be more sensitive, ie, having a greater representation in the somatosensory cortex of the horse’s brain. 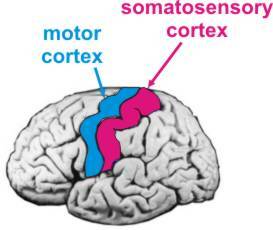 These areas are densely populated with sensory nerves and are all represented by larger portions of the somatosensory cortex. These are additional areas that have greater representation in this part of the brain. 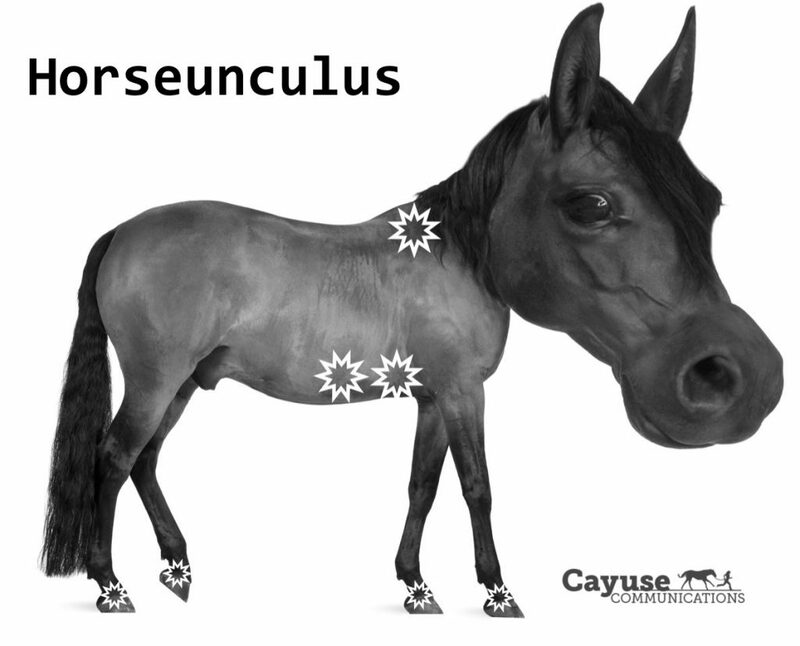 The horseunculus highlights through exaggerated size and starbursts those noted areas. It’s helpful to be aware and considerate of these extra sensitive areas when working with our horses. 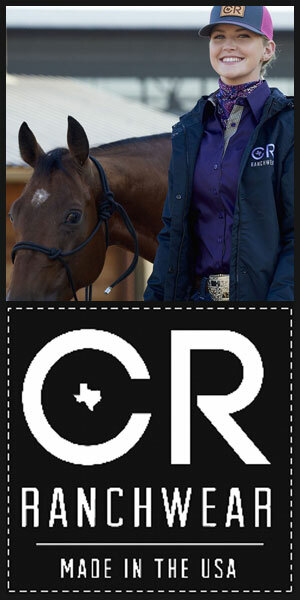 Posted in Neuroanatomy and tagged Horseunculus. Clear and useful! Thank you. A nice visual representation. I would not have picked out the withers and lower flank if asked to identify the higher represented areas. I am always trying to understand a little more about what it is like to live inside a horse’s body. Your visual and explanation added to my quest. Thank you!